I CALL TO SHIVA DECREE- Ascension NOW! In the name I AM THAT I AM, Brahman, Vishnu, and Shiva, Lord Krishna, Guatama Buddha, Quan Yin, the Dhyani Buddhas. I call to Lord Shiva to descend and answer my call. 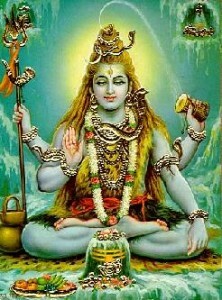 Shivaraja, destroy all negative energies that enter my being from the mass consciousness. Shivaraja, destroy all negative energies sent against me by the forces of anti-christ. Shivaraja, destroy all negative energies sent against me by the power elite. Shivaraja, destroy all lies of anti-christ that seek to enter my being and lead me off the true path. Shivaraja, destroy any negative energies I have sent out and enlighten me to my own misuse of God’s light. Nataraja, destroy all forces of anti-christ who engage in wars and environmental destruction. Nataraja, destroy all forces of anti-christ who seek power and control over others. Nataraja, destroy all forces of anti-christ who seek to have people bound by mental, emotional or physical addictions. Nataraja, destroy all forces of anti-christ who deliberately use disease, starvation, and poverty to further their own agenda. Nataraja, destroy all forces of anti-christ who hate the Divine Mother and abuse her through the misuse of sexual energies, prostitution, and mental, emotional, or physical slavery. Nataraja, destroy all forces of anti-christ who promote materialism and its denial of the spiritual side of life. to bless all souls of light, transmute all areas of darkness and raise all into ascension’s light.